About 14 years ago, I was working in a regional, multi-hospital system in Eastern Tennessee. I was the newest member of the network engineering team and we were responsible the network, servers, Active Directory, storage, IBM mid-range systems. Basically, all the vital computer infrastructure that allowed clinicians and administrators to provide healthcare to the people of East Tennessee. From a previous job, I knew how to log into a NT 4.0 Terminal Server and disable logins on Citrix MetaFrame. With that tiny bit of experience, I had a sick, neglected Presentation Server 3.0 Citrix farm dumped in my lap. Following some of the greatest business advice I have received (“Bloom where you are planted”) I immediately tried to fix all the outstanding issues of this farm. I realized that while the licenses had lapsed, we were able to upgrade to Presentation Server 4.0, which I did. Over the course of weeks, I made every single mistake possible presenting published applications via Web Interface. Time and time again, I searched the Citrix forums for answers and realized that I wasn’t alone. Fast forward to today and I’m part of a much more mature community that implements a more mature product. 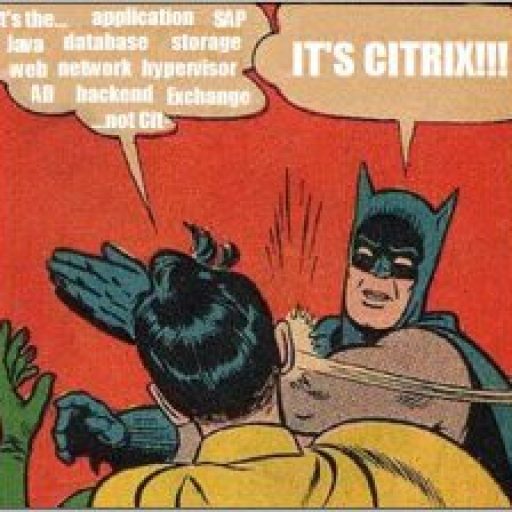 Despite how far Citrix XenApp (and related products) has come, it still is not trivial to implement or maintain. It requires specialized knowledge and a group of dedicated professionals sharing all the quirks, gotchas, best practices, and optimizations to make all of Citrix’s products really effective and robust. Last week I was selected to become a member of Citrix Technology Advocates program. I’m excited and humbled to be part of this group of smart and dedicated professionals. You can read more about it here.